Many observers saw in Tony Blair’s meeting with head of Hamas’ political bureau Khaled Meshal a breakthrough that may take Hamas out of the bottleneck and may lead to a long-term truce between the movement and Israel. Yet, with the ensuing meetings Meshal held, it appears that the crux of the issue surpasses initial assessment as this meeting comes in the midst of entangled developments and perhaps may lead to various domestic, regional and global transformations. After years of estrangement, head of Hamas’ Political Bureau Khaled Meshal met with Saudi King Salman bin Abdulaziz Al Saud. Following this meeting, Meshal met with the Russian foreign minister Sergey Lavarov, Turkish President Erdogan and recently with the former representative of the international Quartet Tony Blair. According to the Guardian, this meeting was the fourth raising suspicions of a prospective long-term truce between Hamas and Israel. Israel’s Haaretz newspaper reported that Israel agreed to a sea route between the Gaza Strip and Cyprus in return for a long-term ceasefire with Hamas. The news and suspicions coincided with contradictory statements from Hamas officials; some confirmed while others refuted the story. 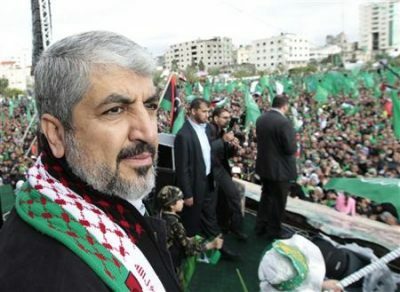 Leaks suggested that Hamas’ consultative council had a quasi-unanimous decision on such a deal, with the reservation of only two leaders from the movement. These developments corresponded with many statements by Turkish officials who urged the need to settle the conflict between Israel and Hamas. They also declared their rejection of any hostile activities by Hamas aimed at Israel from the Turkish soil amid Israeli-Turkish talks of renormalization relations. The Palestinian Authority rebuffed any side agreements between Hamas and Israel, a position adopted by many Arab countries, led by Egypt. This position stems from the fact that any ‘individual’ side agreements between Hamas and Israel will override the legitimate Palestinian leadership represented by Mahmoud Abbas. It may also lead to de facto separation of the Gaza Strip from the rest of the occupied land of Palestine in 1967 and thus can be considered an official declaration of the death of any efforts for a Palestinian national reconciliation. The damage is not limited to the Palestinian internal affairs, but rather would weaken the Palestinian official diplomacy which was able lately to achieve remarkable accomplishments. To elaborate, at the aim of aborting any Palestinian diplomatic activism, it becomes a fundamental Israeli strategy to delegitimize the role of the Palestinian leadership. Having said that, since the Palestinians have been marred with their division since 2007, i.e. Hamas and Fatah, Israel has been using this to propagate its own narrative that the Palestinian Authority headed by Abbas does not represent all the Palestinians. A unilateral deal between Hamas and Israel would unequivocally pour in favour of Israel’s narrative and said strategy. When trying to analyse the motives behind Israel’s decision to make a truce with an organization it considers terrorist and must be uprooted, it appears that the issue outdoes the Palestinian- Israeli conflict itself and prolongs the Palestinian division. In modern history, Israel has always tried to secure one front when it expects or plans an action on other fronts. In other words, when expecting or planning a war against the southern front (Gaza Strip), it seeks to secure the northern from Hezbollah. Similarly, when it expects an action from the northern front, it plans on securing the southern front with Hamas. However, it has become obvious that Hezbollah is not the sole menace for Israel in the north, but Syria is also with all its complicated components. This argument becomes more realistic when linked to the news saying that major powers are seeking arrangements for a secure exit of Assd from Syria without a realistic preparation for an alternative. Thus would definitely lead to more chaotic conditions in the Israeli northern front and an unexpected reaction by Hezbollah after losing its chief protector and supplier in the Levant. Whether the suspicions of a prospective Hamas-Israel truce deal were accurate or not, what is definite is that the Blair-Meshal meetings lay in a wider context that include new regional arrangements for Syria for the post-Assad era. As such, the following meetings that gathered Meshal with the Russian foreign minister and Turkish president rests in the same circle noting that regional and global powers recognized the important role of non-state actors in the region as one of the main outcomes of the so-called Arab Spring. As such, Russia will never accept to let down the Assad choice without securing a new caretaker of its interests in this spot. In the same way, Turkey shares with Syria long borders and entangled interests including the issue of Kurds and the fear from a Kurdish entity in northern Syria. Thus, none of the regional powers are left with the luxury to choose its new allies. The US closely follows these developments and was able to sort a new arrangement with all Middle Eastern parties including Iran (following the nuclear deal) and Russia. From one side, some US reports referred to the fact that the withdrawal of Patriot missiles from Turkey was done in coordination between Russia and the US. On the other side, this decision satisfies Kurds and makes the US appear more neutral and not fully supportive of the Turkish stance from the PKK. Meanwhile, the US didn’t irk the Turks as in return it opened the door wide for military cooperation, especially in fighting ISIS. These calculations were there on the table when the Saudi king received Meshal, yet this meeting added a new element: the war in Yemen. The current situation in Yemen underscored the necessity for new players, particularly that the conflict in Yemen has been taking a sectarian hue. Hence, the Saudi-Hamas meeting constituted a stepping stone for a bigger role for the movement in the region and for the whole Arab order per se. Well, after a four-year hesitation period, Arab regimes started to absorb the ramifications of the so called Arab Spring, building new strategies and forming new alliances, basically with the new emerging player: non-state actors or movements. In the same vein, Sarkis Naoum finds that the nuclear deal was another reason behind the Saudi-Hamas meeting. According to Naoum, this deal pushed the Saudis to move ahead in order to retain the cards it used to possess and gather the forces that share similar ideology, religion or Nationalism. He referred to a research issued by a US Centre that the main aim for Saudi Arabia is to build a Sunni alliance and an Arab coalition in order to face an anticipated Iranian threat; to end the Houthis growing influence in Yemen; and to improve its relationship with Sudan (through improving relationship with Hamas) as well as to drive Sudan away from Iran. To summarise, it is obvious that regional players started to reorganize their cards and ratify their alliances and strategies to cope with the rapid changes, most significantly the Iranian nuclear deal, the probable fall of Assad and the rising role of non-state actors; in particular movements of a religious nature. 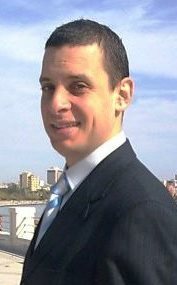 Fadi Elhusseini is a Political and Media Counselor in Egypt. He is an associate research fellow (ESRC) at the Institute for Middle East Studies-Canada and a doctoral candidate at the University of Sunderland in Britain. His articles have appeared in scores of newspapers, magazines and websites, including the Washington Institute, Foreign Policy Association, Middle East Monitor, the Oslo Times, Jordan Times, Pakistan Tribune, Jakarta Post, Turkish Weekly, Uluslararas? Politika Akademisi, Akademik Perspektif Enstitüsü (APE), Today’s Zaman, Contreligne and JOL press in France, Al-Ahram Weekly, Palestine Chronicle, News 24 of South Africa; the European progressive political foundation (FEPS), Middle East online; Alwasat, Alquds Alarabi and Alquds daily and others in Palestine, Lebanon, Iraq, Canada, Belgium, Russia and Iran.